I’m from New England; a clam bake or seafood buffet is a way of life for me! There is NOTHING I love more than seafood. 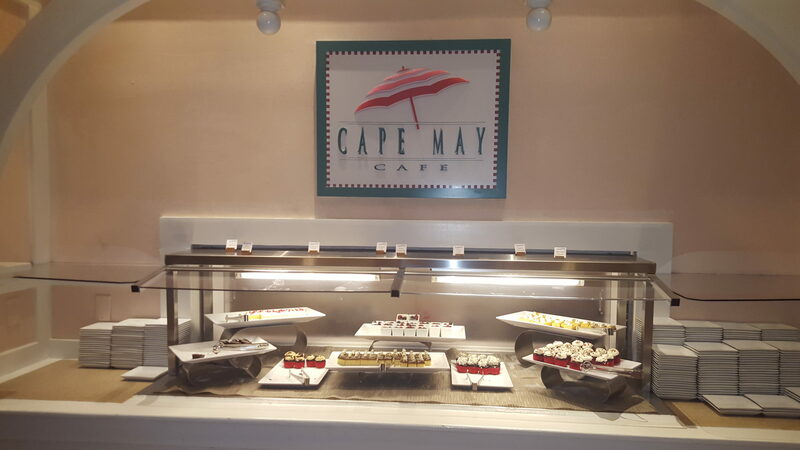 It is NO surprise that Cape May Café Seafood- and- More Dinner Buffet at the Beach Club is one of my favorites. 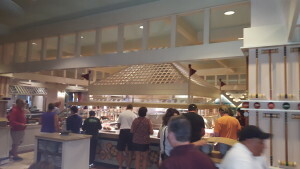 (Please note there are NO characters at this buffet but you won’t miss them because it’s fantastic). I also highly suggest making an ADR because it fills up quickly! 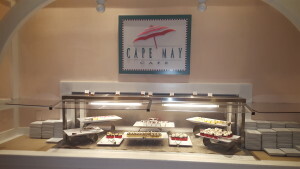 The first time I attended this buffet, I was under the impression that it was a “clam bake” and I was slightly disappointed when it was a buffet, until I tried the food, and now I’m a believer- this New England girl rarely misses a chance to dine at the Cape May Café for dinner! 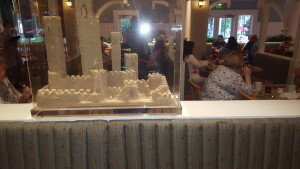 The décor in the restaurant is reminiscent of that in New England or the northeast shoreline. There are lots of pastels, with beach chairs hanging on the walls and brightly colored beach umbrellas lining the outer edge of the restaurant with lots of nods to the lazy days of summer, with beach balls, sand castles and croquet sets as décor. 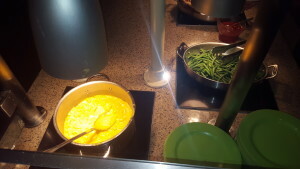 As far as the food, it is delicious. I always start with the seafood chowder and the cornbread. DO NOT MISS THE CORNBREAD!!! My 9 month old ate three pieces, and I had five. Okay maybe six. 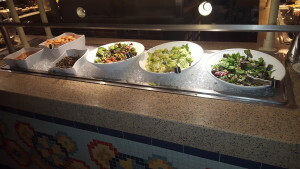 There is also a salad bar with the standard house and Caesar salads, but feel free to indulge into all of the other salads they have to offer, such as the watermelon and feta salad, the quinoa salad with cranberries and brie, or my mother’s favorite, the wild rice salad. She talks about how delicious that salad is almost weekly! Hands down, the crowd favorite is the crab legs. 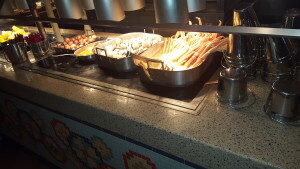 There are buckets placed along the buffet, which I would think should be used for shells, but people are loading up their little buckets with crab legs. They are always perfectly seasoned and cooked to perfection. My personal favorite is the peel and eat shrimp. The steamed clams and mussels are also always a favorite. 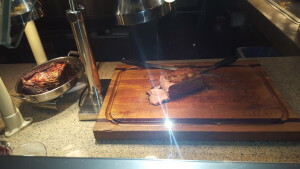 For those of you that aren’t seafood eaters, please don’t skip out, they offer a carving station that is a succulent beef tenderloin, some great sides, like green beans, corn on the cob, roasted red potatoes and a few other pasta options. 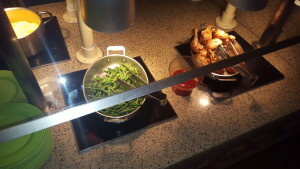 Then, daily, they rotate out chicken, ribs, pastas, and luckily, on the day we were there, clam strips. I unfortunately, am a bottomless pit and for a lady, I can eat quite a bit, but this place is the exception. 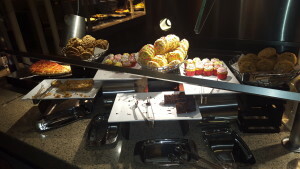 I rarely make it to the dessert station, but there is an entire counter of decadent desserts, including pistachio cheesecake, flourless chocolate cake and Boston crème cake, all in petite, bitesize pieces. I wish I could make it to the dessert bar but I am usually so uncomfortable, I can’t even fathom eating more. As for the service, I have always been greeted with a smile and the wait staff is quite quick in clearing empty plates, as not to make you feel gluttonous as you realize you are now going up for helping #4. They are turning over the food on the buffet before the previous serving platter is empty. Most of the seafood is steamed in the area within the counters of the buffet and the chefs cranking out the steamed seafood are working hard! It is clearly hot and steamy back there, and I’m sure they smell of seafood almost constantly so I always try to give them a big smile and a “THANK YOU!” if one of them stops working long enough to make eye contact with me. I can’t even begin to explain how this dining experience has slowly creeped up to the top of my favorite dining list. I hope you enjoy it as much as I do. 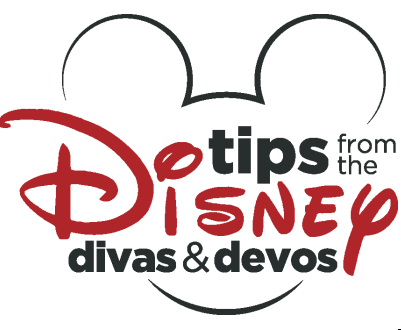 TIPS: Be sure to make you ADR 180 days out. Do NOT book any other big meals that day. Pace yourself and really enjoy the meal. Plan a nice stroll around the boardwalk or around EPCOT World Showcase after dinner, you’ll be happy you did. Hello! My name is Marissa, I'm married and a new Mommy to a beautiful little girl. 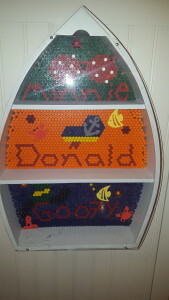 My entire family is a "Disney Family" when we aren't there on vacation we are planning our next trip or helping friends and family plan their trips! In my spare time I am a Pediatric ICU RN and a dance teacher and a dance team coach.